Debbie Verver has been working in the makeup industry for over 21 years. In this time she has developed a wide range of skills and techniques that can be relied upon to achieve the best looks every time. 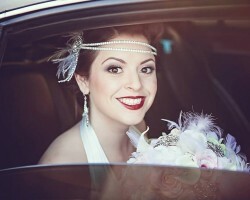 As a makeup artist in Mesa, AZ, this expert is familiar with applying bridal makeup that is meant for long-term wear. Debbie will make sure that she is using the highest quality materials to provide you with a look that will last through the ceremony, the reception and the night of dancing. Dori Randall, of Dori Randall Makeup & Hair, has extensive experience working in the beauty industry. This includes working for film, video and print media as well as custom freelance work for special events and occasions like weddings in Arizona. This artist is a licensed cosmetologist and skilled artist that is able to come up with unique styles and looks as well as achieve the designs of others with ease. Reviews of this company rave about the talent of the artist and how this can be used to any bride’s advantage. If you are looking for more than just a flawless special occasion look then permanent makeup might be the best choice for you. This route means having makeup applied, similar to a tattoo, that will leave you fresh-faced and ready at all times. Colleen Roseen is one of the top Mesa makeup artists for these exact services. Colleen uses the latest techniques to achieve your perfect look and enhance your already beautiful features. You will love the results of working with this professional. Your wedding day is one of the only occasions you will be able to get dolled up in the way that you have always wanted. Whether this means having a flushed natural look that has been enhanced or going for complete glamour, Beauty Bombshell by Yolanda can help. This company offers flawless bridal makeup at affordable prices. Each look that is executed by this team is always customized to the client. You will only ever have the amount of makeup on that you are totally comfortable with. Wedding hair and makeup as well as all things related to beauty can be found at Custom Kreations. This boutique offers everything from eyebrow waxing to hair styling and braiding, makeup application and so much more. The most impressive aspect of working with this company is the talent of each artist. These professionals have years of experience executing flawless looks as well as meeting the needs and desires of their clients. This makes the team more than ready to create a custom bridal look for you.